The Vise Add-On bag can be used to attach to the Vise 3 Ball "Clear Top" Roller Tote. This bag has clips that allow it to attach to the Vise Roller/Tote for easy transport. The large size of the bag allows it to accommodate varying sizes of shoes. This add-on bag also helps traveling come easier. Also comes with a 5-year limited manufacturer's warranty. 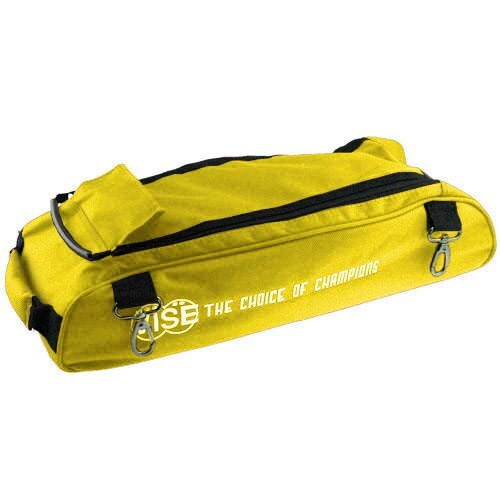 Due to the time it takes to produce the Vise 3 Ball Add-On Shoe Bag-Yellow ball it will ship in immediately. We cannot ship this ball outside the United States.